This is your first step to setup Autodesk Revit and start using it immediately. Learn the basic terms of Revit, open an existing file and navigate your way to success ... Click the link below to download it now. Revit Courses was founded by Mostafa Saber, an architect and lecturer in the field of computer skills for architects. Revit courses focuses mainly on teaching best practices at using Revit Architecture in the most practical way to efficiently achieve your goals. Due to the instructor's international experience of construction methods, design practices & BIM standards, you'll find these courses to be your best way to learn Revit. Each course is designed to help you in a special way to get the results you expect. The training is not recorded, so you may ask questions, interact with the instructor & influence practical examples' types to align with your objective of taking this training course. Building Information Modeling (BIM) is changing how buildings, infrastructure, and utilities are planned, designed, built, and managed. 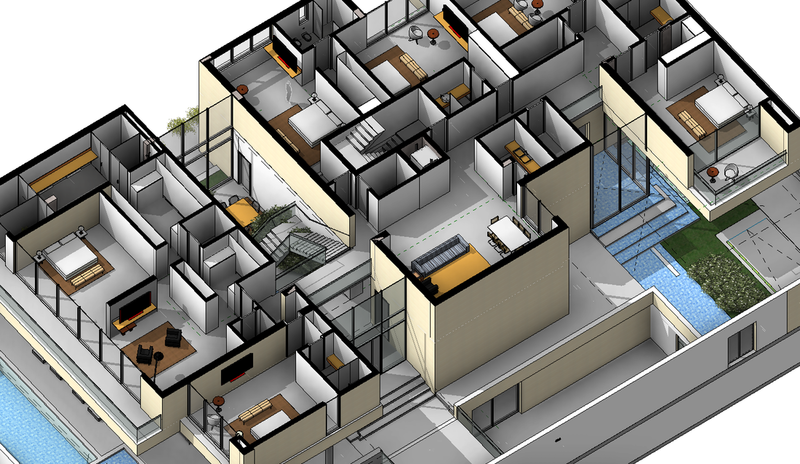 Autodesk BIM solutions help turn information into insight and deliver business value at every step in the process. See below illustration for BIM integration with the project life cycle. BIM is quickly becoming the industry standard. Anyone in the field of architecture, construction, engineering and construction management should keep up with quickly changing world. If you don't, you'll simply get left behind. 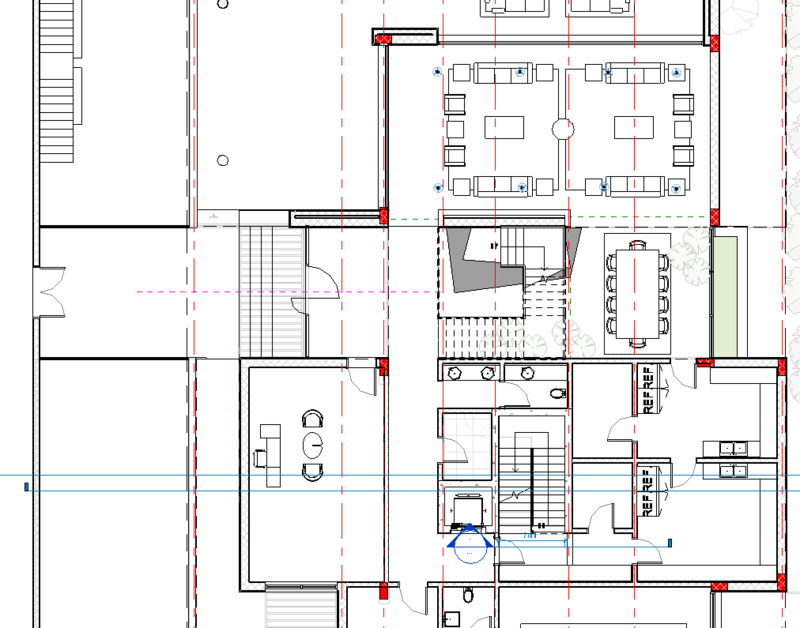 Studies have proven that using REVIT saves you 20% of the time required for drafting using CAD, and it saves you 50% of time to prepare BOQs. Practically, I've seen it saving time and money, previously wasted at design revisions and miss-coordination. What are the software programs to use? There's a number of software programs you can use to integrate BIM concepts within your work flow. It actually depends on the stage of the project and your role within the project team. However, at the core of BIM process comes authoring tools, like Autodesk Revit Architecture, Graphisoft ArchiCAD, Nemetschek Allplan Architecture, Bentley Architecture, Gehry Technologies - Digital Project Designer and other software programs sharing these general concepts of BIM. At Revit-Courses.com, we focus at teaching Autodesk software, especially Architecture-related ones. You're welcome to visit the Training Courses Page to know more about available training courses we provide. We're currently offering 2 options for UAE and international students. All training sessions are delivered by an Autodesk certified instructor. Attendees will get a certificate of attendance directly from Autodesk. 1st Training Option (UAE): You'll meet a certified Autodesk instructor for a number of times according to your selection of training courses. We know you may be a working professional, so all sessions shall be scheduled after working hours (usually from 7:00 to 10:00 PM). This option is only available for groups and individuals living in the UAE. 2nd Training Option (local & international students): An Autodesk Certified Instructor will invite you to online sessions & demonstrate the tools /best practices. You'll be able to exercise the same tools during and after session time. Then, you can send your questions by email. Your instructor will answer your questions either by email or at the beginning of your next session. This option is currently available for groups and individuals living outside UAE. *Dubai or Sharjah are preferable locations for the training sessions. Check the reservation page for location. After attending our REVIT Architecture 2017 - Essentials - Online, you'll be confidently able to produce similar results like these shown below. 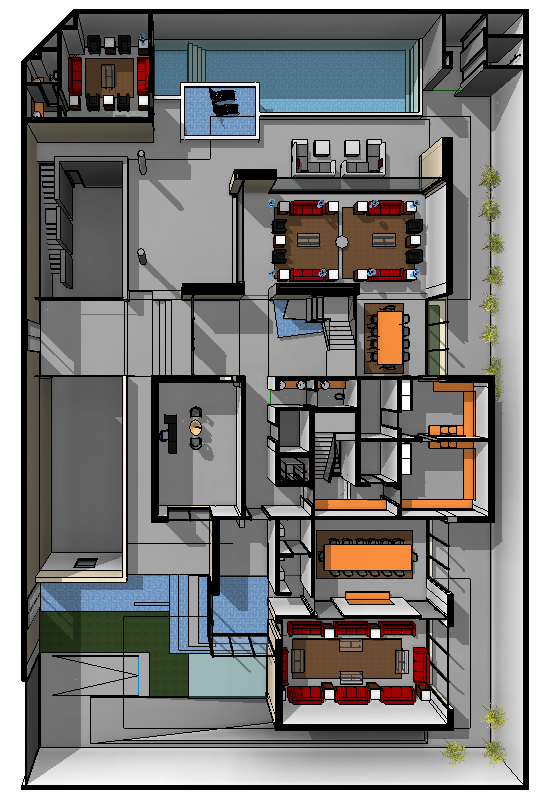 The above images were created using Revit native tools, no special add-ins required for the training course.